Not long ago I bought my first Erborian product. The Pink Perfect Crème, of which you read the review here. Now I am quite impressed with this product as you could read and I said so to the shopkeeper so she kindly gave me some other Erborian samples to try. One of them was this CC crème of which I was, again, an immediate fan. Read more about this Erborian CC crème! This entry was posted in Beauty, Skincare and tagged beauty, cc creme, Erborian, pink perfect creme. 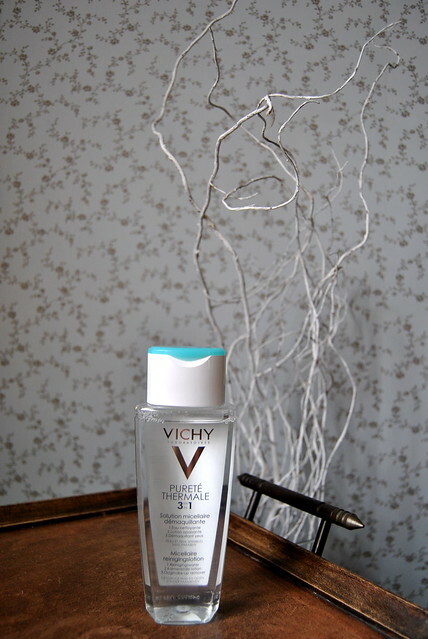 I gave you my thoughts on the Vichy Idéal Body serum/milk and today you can read my review on the Vichy Pureté Thermale Micellar Water. Read more about this micellar water! This entry was posted in Beauty, Skincare and tagged beauty, cleansing, micellar water, pureté thermale, vichy. It is important to scrub your skin frequently to get rid of all the dead cells. 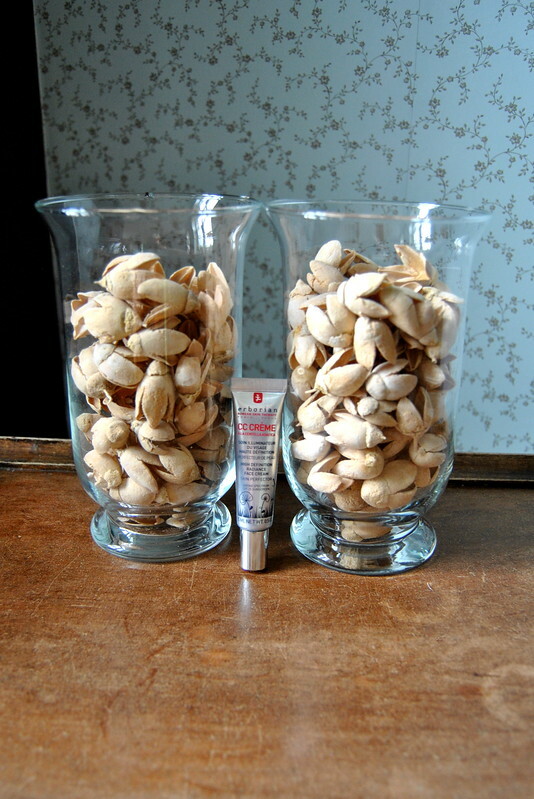 Now this summer I have been using Clarins Radiance-Plus Golden Glow Booster for face and body to get me a tan. The why’s and how’s you can read in this post. When using a self-tan product, your skin really needs that weekly scrubbing session or else you end up with layers of self-tan product that don’t look that flattering… Read more about the two body scrubs I like using! 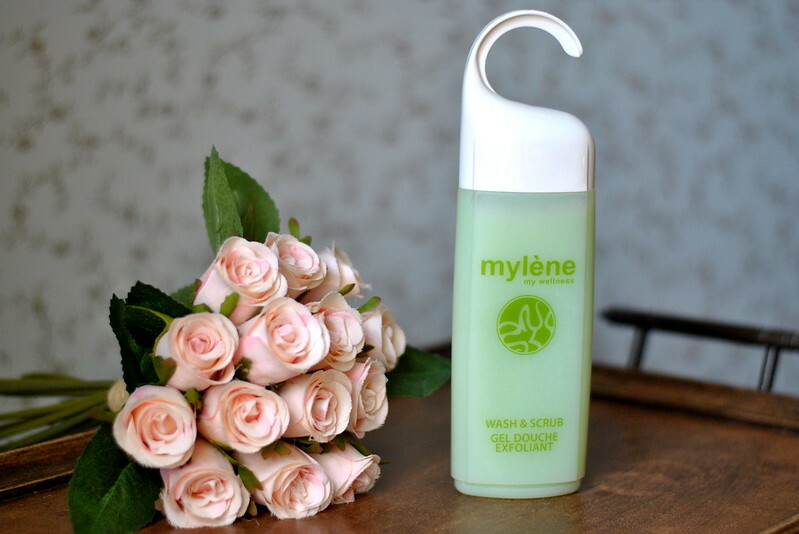 This entry was posted in Beauty, Body and tagged beauty, exfoliate, home parties, mylène, scrub, wash.
To me a cleanser must do exactly what it is supposed to do… cleanse your skin ! Estée Lauder Perfectly Clean (multi-action cleansing gelée/refiner) goes even one step further… Read more about Perfectly Clean! This entry was posted in Beauty, Skincare and tagged beauty, cleansing, estée lauder, perfectly clean. Time for the third and final part of my favorite fragrances posts. Part 1 covered my summer favorites Parfum d’été by Kenzo and Fragonard by Fragonard. In part 2 I told you about 2 fragrances I wear all year round : Pure Poison by Dior and White Linen by Estée Lauder. Now this third part I reveal which iconic fragrances are on my bathroom shelf : Chanel n°5 by Chanel (Eau de toilette) and First by Van Cleef and Arpels. Read more about these iconic fragrances! This entry was posted in Beauty, Fragrances and tagged beauty, Chanel, fragrance, perfume, van cleef and arpels. Concerning fragrances I am quite a loyal woman (as I already mentioned in this post). In all, I’ve got 6 favorite fragrances. Usually I’ve got a few bottles I’m using alternately… according to the mood I’m in ! I usually have empty bottles of the fragrances I am not using at the time. I have the habit of sniffing these empty bottles quite regularly so when one of the bottles I’m using is nearly empty, I immediately know which one I want to replace it with ! So… six fragrances… As it is high summer I will start with two summer favorites : Parfum d’été by Kenzo and Fragonard by Fragonard. I use my other fragrances as well in summer, but these two I use most during summer months. Read more about my favorite summer fragrances! This entry was posted in Beauty, Fragrances and tagged beauty, fragonard, fragrance, kenzo, perfume. At my local beauty store I prefer getting free samples of skincare products over fragrance samples. Concerning my fragrances I am quite loyal to a few favorites, so if I get fragrance samples, they keep in my bathroom cabinet until I ditch them… So skincare samples please ! Recently I got a sample from the Pink Perfect Cream from the Korean brand Erborian. Read more about this Pink Perfect Creme! This entry was posted in Beauty, Skincare and tagged beauty, Erborian, make-up.